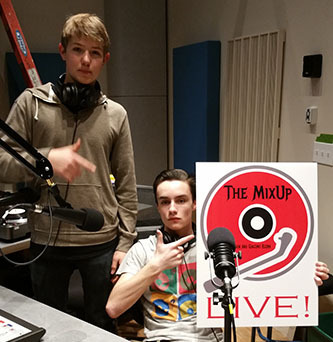 The MixUp is your source for hip-hop and rap on Vashon Island. Co-founded by Elijah Nichelson and DJ Kuz, The MixUp with DJ Kuz is your connection to quality rap music and lyricists. From A Tribe Called Quest to Björk, Eminem to Portishead, J Dilla to Myka 9, Rakim to Jean Grae, you can always expect the classics that have stood the test of time—but a part of The MixUp’s purpose is the blend. DJ Kuz guarantees that during every show, there will be at least one artist, at least one song, that you will be introduced to for the first time. Tune in to KVSH 101.9FM or stream The MixUp with DJ Kuz every Sunday, 6:00 PM to 8:00 PM.